When you work in a busy environment like an office or bustling business, there can be a lot of documents to organise, tasks to coordinate, and papers to file. 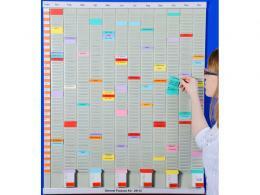 Wall planners & T-card systems are a great way to keep track of it all with ease. 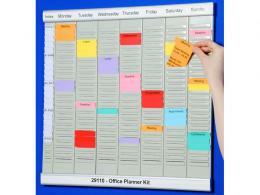 They’ll help you organise workloads, clocking in and out, and all of the general happenings in your busy office. They’re perfect for any workplace, warehouse, or school environment where it’s important to stay on top of daily events and paperwork. 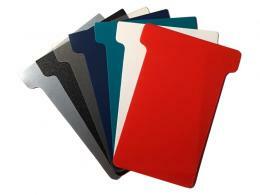 At The Workplace Depot, we have solutions for keeping your documents and important papers tidy and accessible. The A4 and A5 Document Systems, Magnetic Backed, have a cascading display rack with steel pockets, which means they’re useful as well as sturdy. They’re convenient to stick on any surface that will take magnets. 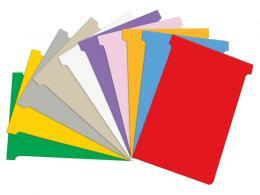 We also carry A4 and A5 Cascading Document Systems for organising and managing your T-card system. If you’re looking for a system that will meet specific needs, order a Custom Built T-Card System, where you can select the right size T-cards, panel height, and number of panels that will suit your office. 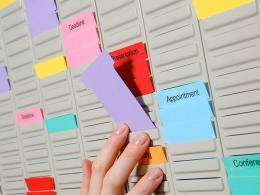 If a general wall planner & T-card system will suit your needs, look to the General Purpose T-Card Kit. It will attach to a wall, comes with 10 boxes of T-cards in 10 colours, and includes day/month labels, so you can customise it for your office. Similarly, the Office Planner Kit offers a general system you can customise, except it comes with 7 boxes of T-cards in 7 colours, and is slightly smaller – great for smaller offices. Another option is the Annual/Weekly Kit. It makes planning incredibly flexible whether you need to plan on a 7-day or yearly basis. Finally, to keep your wall planner & T-card system neat, uniform, and easy to use and set up, The Workplace Depot carries Printer T-Cards. Information from your computer system can be printed right onto the cards, and in the meantime, you’ll avoid the hassle of handwriting T-cards. 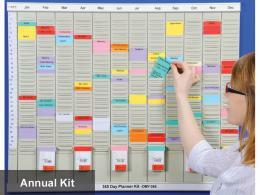 All of The Workplace Depot’s wall planners & T-card systems come with a one year warranty that includes parts and labour. Free delivery is also included.